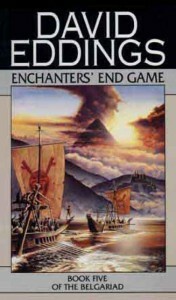 Enchanters' End Game fifth and final installment of 'The Belgariad' series set in the richly detailed world created by David Eddings (with uncredited help from his wife). As with the previous books, it begins immediately after events of Castle of Wizardry and opens with Ce'Nedra, Polgara, Durnik, and the child Errand being held captive by the Mallorean Emperor 'Zakath. Events unfold, prodded on now an then by The Prophecy of the Light, as Garion, Belgarath, and Silk continue on the final leg of their journey towards Garion's prophecised meeting with the dread god, Torak. In the end the book brings together all the plotlines of the saga and ties them off with a conclusion that feels perfect for the storyline. And thus concludes the Belgariad, which began with Pawn of Prophecy. 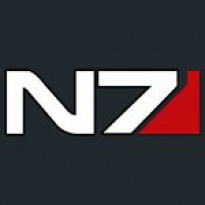 And while history, unlike the mortal pen, does not cease, the records beyond this point remain as yet unrevealed.